There might be snow on the ground, but I have quite the hankering to spend my entire tax return (note to self: do your taxes) on spring and summer dresses. Dresses for work are the best because they don't require me to put together an outfit, just throw it on with some wedges. Boom. done. After almost a year, its fair to say, I've gotten a pretty good idea of what works and what doesn't in the office and when I am on the go. My goal is to find classic pieces with a bit of fun to them that are work appropriate. 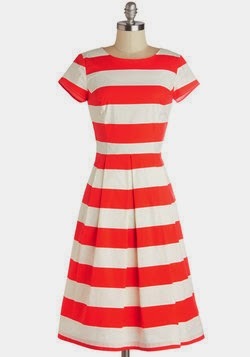 Here are some of the dresses I'm eyeing for this summer. 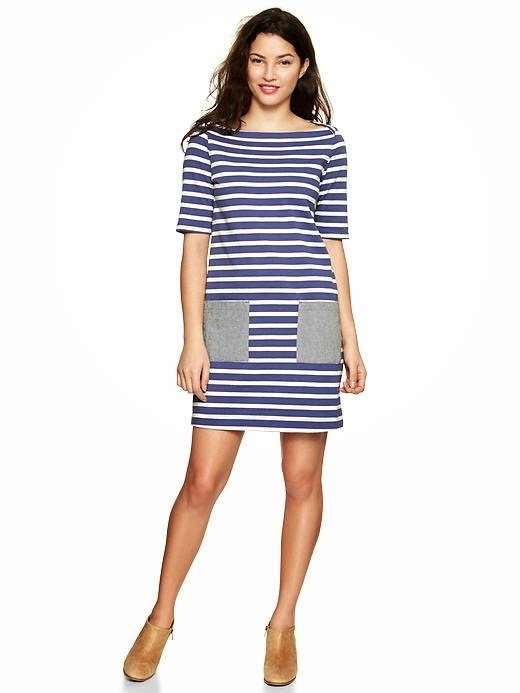 Real quick, this Stripe Pocket dress from Gap is exactly what I mean. So easy and so adorable. Plus comfortable! And hella versatile. I will absolutely wear this on your patio, drinking beer on a Saturday afternoon. My love of Modcloth is not a secret and here's why. 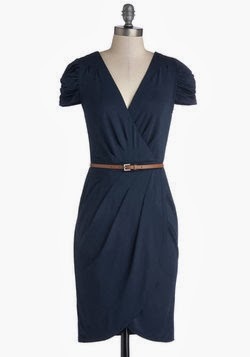 Without even trying that hard I found four dresses that are perfect for work and play and sunshine. In case you have also fallen in love with any of these dresses, they are (from t-b, l-r) Dilly Tally Dress, Inlet's Get Together, Book Exchange Brunch (which will need a cami for sure), and A Whole Neutral Outlook. If navy or stripes ever go out of style, I am totally screwed (and they won't because everyone will always romanticize the sea, so that's convenient). 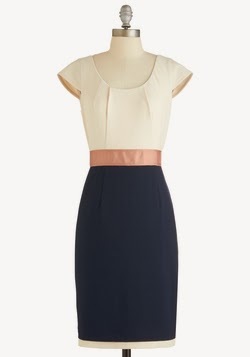 I think a work dress is something with a classic waist (ie, your waist. It is so bonkers how much skinner you actually look with a belt at your natural waist), and either a classic pattern/solid or a classic neckline. You should be complimented but people shouldn't wonder if you're going to a little kid's birthday later. Of course, these rules were made to be broken for the very fashion adventurous among us - but if you're like me and dread the thought of having to put four pieces of clothing together in semblance of an "outfit," these rules will do you good. Play with fun patters in a simple shift, or do a crazy cowl neck with a gorgeous charcoal. 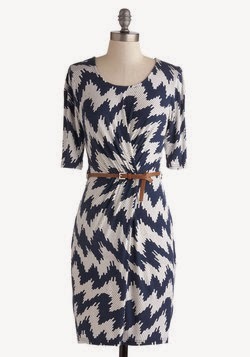 And here's a favorite from Loft (the Loft? Ann Taylor Loft? I have no idea). A store I used to make fun of my sweet friends for shopping at, but 10 years later, I find myself wearing my newest LBJ from there, at least once a week. This guy is so simple and perfect. Which is all I want out of my clothes, things things that are easily cute. This floral cutout dress fits the bill. How many times am I going to beg for summer this year?